According to a recent survey, over 32% of Americans over 20 years old are obese. The social stigmas associated with obesity can be overwhelming. 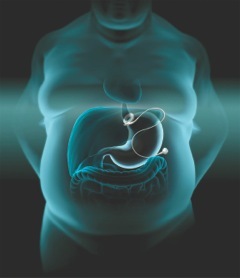 In addition, obesity is associated with increased risk for many diseases and medical conditions. As obesity rates rise, so do the rates of other medical problems such as heart disease, high blood pressure, type 2 diabetes, gallstones, sleep apnea, and some types of cancer. The Lap Band has been created to treat obesity and its related medical and social problems. For those who have struggled endlessly with their weight, LAP BAND surgery at our Palm Beach Gardens office may be the answer for you. 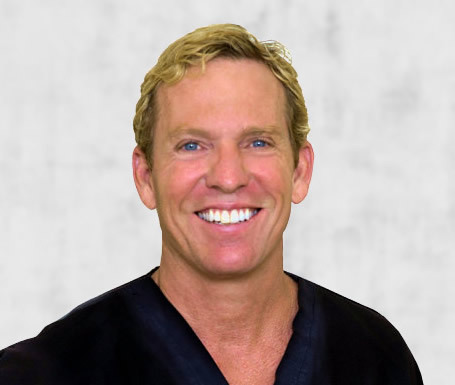 For many years, Estetica has been providing the highest level of plastic and cosmetic surgical needs to thousands of patients in South Florida. In light of the increasing level of obesity in the area, we have found the need to provide a simple and effective approach for significant weight reduction. In response we have partnered with two of the most experienced and nationally respected bariatric surgeons in South Florida. They have performed over 1,000 lap band procedures and have enabled these patients to begin a fuller, more active, and healthier life. At Estetica Institute of the Palm Beaches, we are proud to offer the LAP-Band surgery for patients from Palm Beach Gardens, Jupiter, West Palm Beach, Stuart, Vero Beach, and Miami. There are many reasons for a person becoming obese. In general, weight gain results from taking in more calories from food than are burned off through activity. The apparent simplicity of this explanation fails to demonstrate the wide range of factors contributing to this imbalance and the number of these factors that are outside the control of people suffering from obesity. Obesity may result from behavioral, cultural, environmental, socioeconomic, genetic, and medical factors. Each of these factors needs to be examined and addressed as part of a medical program seeking to help people overcome obesity. How Is Lap-Band Surgery Performed? LAP-BAND surgeries are done laparoscopically with a high definition camera. The LAP-BAND is then placed around the upper part of the stomach which then restricts the flow of food into the lower part of the stomach. The whole procedure usually takes less than one hour. The band is then simply adjusted using a small needle in the adjusting port so the sense of feeling full and the size of the band can be precisely adjusted. Am I A Candidate For Lap-Band Surgery? 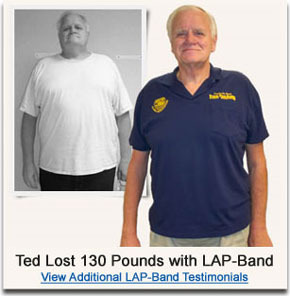 If you are 50 pounds or more overweight then you can probably benefit from the LAP-BAND procedure. We encourage everyone to make every effort to lose weight on their own with a regimen of exercise and proper diet with calorie restrictions. If this combination has been unsuccessful for you, then this exciting procedure is an excellent option. Contraindications for this procedure include some medical conditions such as sever heart disease, liver disease, or bleeding disorders. What Can I Expect From Lap-Band Surgery Recover? The LAP-BAND procedure takes less than an hour and is an outpatient procedure. The operation is performed in our AAAA accredited facility and you can walk out of the recovery area about 45 minutes after the procedure. Many of our patients go back to work the very next day and start their exercise program within a week! We recommend a liquid diet for a few days before and after surgery. The first band adjustment is performed in the office about 3-4 weeks after the procedure. A weight loss of 30-100 pounds is common the first year. The confidence and new life that one can achieve after losing their unwanted weight can be the most rewarding and gratifying journey of your life. If you suffer from obesity and any of its associated challenges, call now to begin the new you!At the Estetica Institute of the Palm Beaches office, Dr. Greg DeLange & Dr. Arturo Guiloff offer plastic and reconstructive surgery to patients across South Florida including: Palm Beach Gardens, Jupiter, Tequesta and West Palm Beach, Florida. Contact the Estetica Institute of the Palm Beaches office today for more information on LAP Band Surgery Palm Beach or to schedule your Complimentary Consultation! .